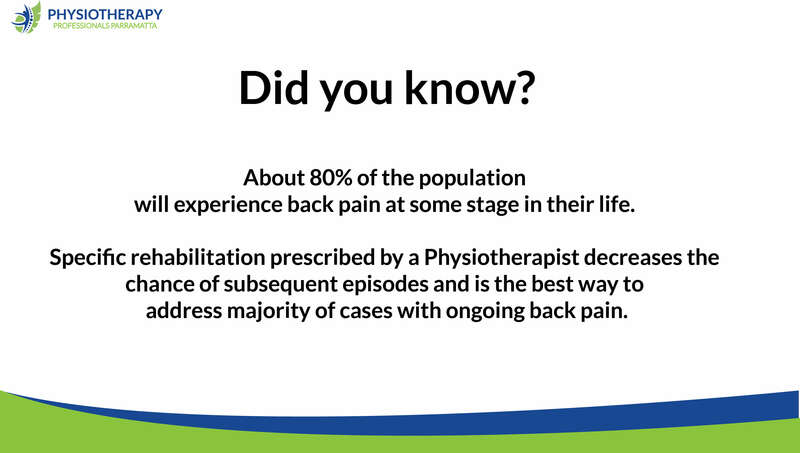 Did you know, 80% of the population will experience back pain at some stage in their life? 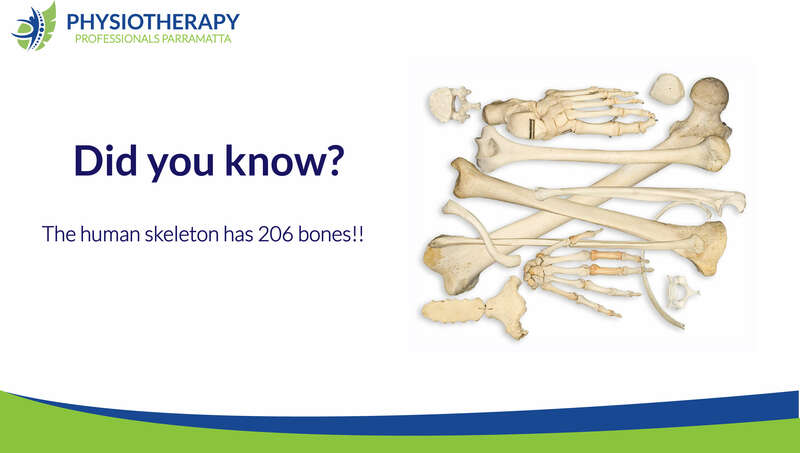 Speak to Physiotherapy Professionals Parramatta. Expert advice and treatment. Back Pain Physio: The back is a complicated structure of bones, joints, ligaments and muscles. You can sprain ligaments, strain muscles, rupture disks, and irritate joints, all of which can lead to back pain. While sports injuries or accidents can cause back pain, sometimes the simplest of movements—for example, picking up a pencil from the floor— can have painful results. 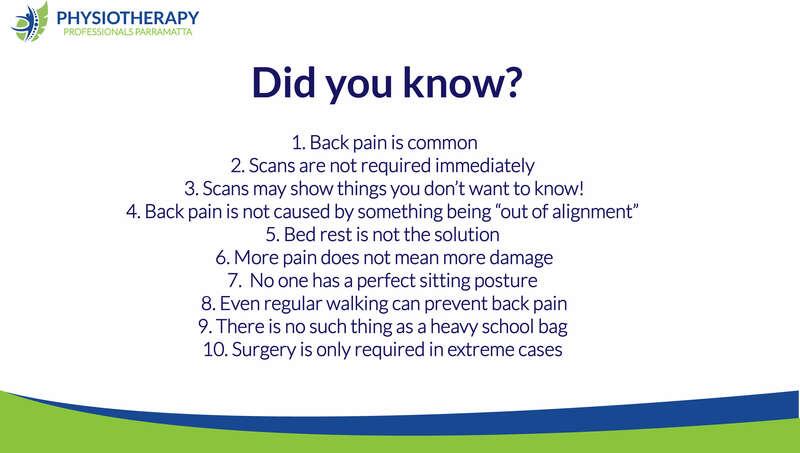 In addition, arthritis, poor posture, obesity, and psychological stress can cause or complicate back pain. Back pain can also directly result from disease of the internal organs, such as kidney stones, kidney infections, blood clots, or bone loss.